30th anniversary of Setsuyo Enterprise Co., Ltd.
Setsuyo Enterprise Co., Ltd. attained 30 years since establishment and held a ceremony at Taipei International Convention Center, December 2003. Over 400 guests from every field also other industry attended with great thanks. We, Setsuyo Enterprise, have been stepping our goods sales, Power Receiving-Distributing Equipment, Semiconductors and FA Products, with the growth of Taiwan since November 1973, and keep moving ahead step by step with all partners for more advancement. We also would like to say thank for our customer and wish to keep close relation with you. We established our new sales company in Thailand. In September 2003, we established our sales company in Kingdom of Thailand invested fully 100% by our head office. Setting up the office in Bangkok city, we undertake to export, to import and to sell locally both inside and outside of Thailand. 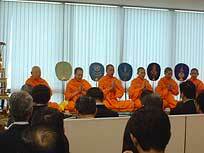 We have held the Grand Opening ceremony for the new sales company in November 18, 2003, we had many guests from inside and outside of Thailand participated at the ceremony, and could finished the ceremony on the grand scale and smoothly. 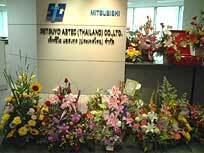 Setsuyo Astec (Thailand) deals many items, such as consumer products, and various materials, and will advance to import and sale locally from the overseas including Japan and to export outside Thailand, for the globalization. Starting the full-scale business activity from the year of 2004, we will do our best for your convenient sales company. F. A. Tech Co., Ltd.